Know when to use Where-Object and when not to use Where-Object. Knowing this will help you avoid not only losing points on a script, but also can avoid impacting performance on your script. This also applies very well to Real-World scenarios. Know how to deal with boolean values. Know when to format your output and when not to format your output. If the event says to do something, then do it. Failure to do so can and will cost you points. Use of Get-Help and Get-Command will help you find that special cmdlet that will make your job a lot easier and then learn how to use it more efficiently. Consider what you are planning on posting as your code and that you have ‘scrubbed’ it prior to submission. Ok, most of these are somewhat vague (and they are meant to be) and I will expand more on these after the games have completed. But consider these general guidelines to follow and think about when writing your code. 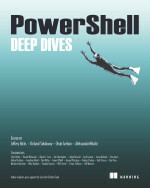 This entry was posted in News, Scripting Games 2012 and tagged Powershell, scripting games 2012, tips. Bookmark the permalink.